CMR Centre for Business Studies celebrated Ethnic day event on 25th March 2019 from 1:30 pm onwards at the college auditorium. On this day the MBA students were given a chance to indulge in the innate desire of every young girl and boy to dress up, look good and feel great. Faculty members and staffs joined together to be the part of ethnic day celebrations who all came to the college in their respective cultural groups. The students from different cultures, regions and languages joined hands to celebrate and showcase their respective regional cultures and traditions of different places as part of the Ethnic day celebration programme. There were various competitions held like tug of war among Seniors Vs Junior boys and girls, Paper dance, foot loose and freeze and a ramp walk to present their ethnic attire. 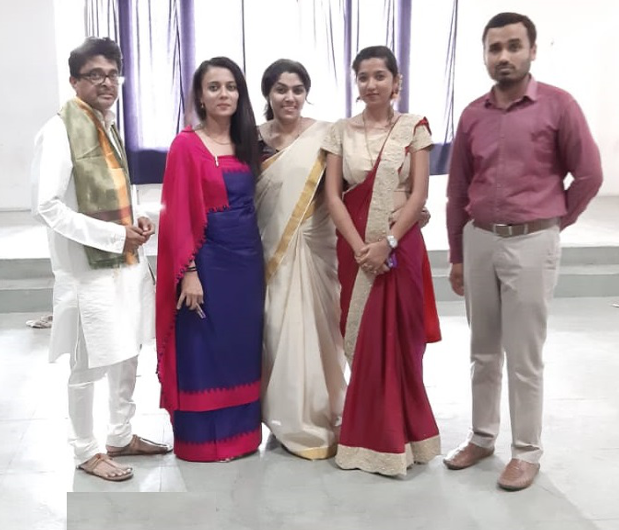 The programme ended with choosing best ethnic attire and the title was bagged by Ms. Thakshith Thangamma of II Year MBA and Ms.Arshiya of I year MBA.